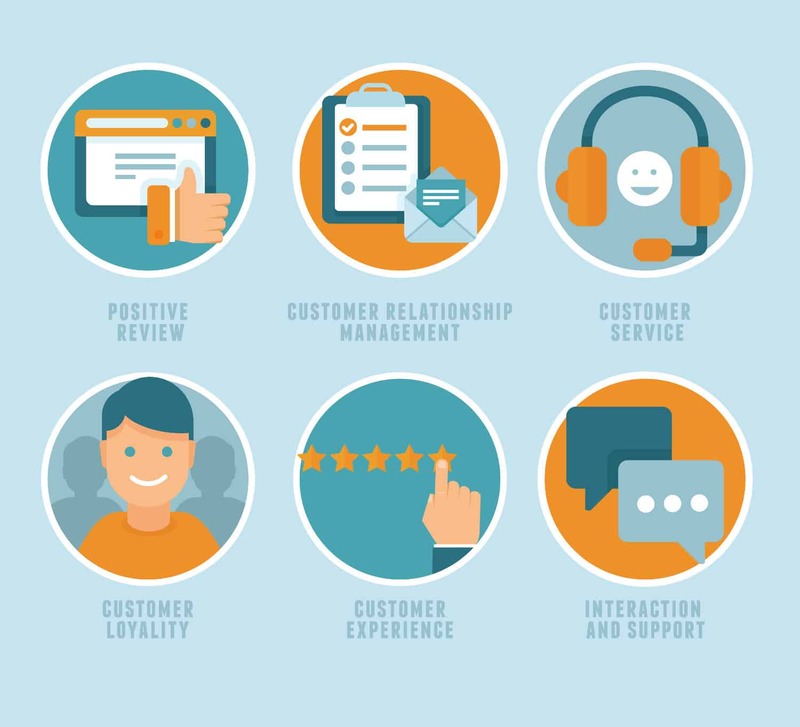 In today’s constantly connected world, customer engagement through excellent customer service is key for many businesses. One wrong move, and your customer can be all over social media complaining about your service. In fact, 76% of consumers say they view customer service as the ‘true test’ of how much a company values them. Customers expect an instant response to their queries, whether it be over the phone, by email or on social media. That’s why it’s essential for businesses to be able to respond to their customers through any medium at the drop of a hat. 97% of SMEs said that customer engagement was ‘essential’ or ‘important’ in their business, so how do businesses ensure they are fully engaged with their customers? The first step towards improving customer engagement is by keeping an active social media presence. This is an important way of keeping your customers up-to-date with company news, offers, events and so on. Posting relevant news keeps customers engaged and interested in what you’re doing as a company. Active social media accounts with company updates is a great tool for up-selling your existing customers and it can drive them back to your website to check out your latest offers or new product. It’s unlikely that your customer will be visiting your website frequently, if at all once they have become your customer. The aim of an active social media presence is to constantly remind your customers that yes, you are still there and to remind them that if they are ever in need of something that you offer, you’ll be the first person they think of! Social media is one of the most powerful tools for increased customer engagement – don’t underestimate the power of posting! Don’t forget that social media channels like LinkedIn, Facebook or Twitter are all free to use. All the more reason to get posting! Similar to social media, another fantastic way to increase customer engagement is by having a regular company newsletter. Newsletters are a more comprehensive way way of giving your customers an update on what’s happening in your company – easier than squeezing an update into 140 characters anyway! When writing content for your customers, you should be informing them of relevant information and not simply trying to sell to them. Remember, all newsletters or transactional emails should be 90% educational and 10% sales orientated. Your customer has already been convinced to use your service, so they don’t any further convincing! Use that 10% sales tactic to try upsell your customer and introduce them to other areas of your business that they may not be aware of and that could be of genuine interest to them. Your customer won’t read a boring newsletter, so try to make it original and engaging. Customer engagement through newsletters can be difficult, especially when trying to think of new content. Think: what would your customer want to know about? What recent news would be affecting them at the moment? What type of information can you get across that would make your customer want to share on social media? What shocking stories or statistics would really resonate with my customer? A regular blog on your website can be one of the most important tools for customer engagement. The key with blog writing is remembering to write in the mindset of you customer. What would they find useful? How can your blog solve their problem? What trends or recent news would be of interest to them? Writing a blog for the sake of writing a blog will not be of any use to your existing customers. Not only will your existing customers be engaged more, but your blog can generate new customer engagement. An up-to-date and well written blog can also increase your SEO rankings, which can only increase your customer engagement further. Include a link to your blog in your company newsletter. The more content that your customer shares and the more awareness you can generate, the better! Businesses can often shy away from receiving customer feedback. The fear of criticism or receiving a bad review can lead many of us to not seek out valuable feedback. Sending out a customer survey every few months can greatly increase customer engagement and allow you to improve customer experience. Your customers may seem happy with the level of service they are getting, but you can gain that extra advantage over your competitors by seeking out additional feedback. Your customer may be happy, but how can you make them feel even happier? Taking onboard customer feedback and making subtle changes that can improve the experience of your customers, which in turn, will demonstrate excellent customer engagement. All businesses aim to pride themselves on excellent customer service, but this can only be achieved by taking the time to actually listen to your customer. If your customer notices a change that you made because you took the time to listen to them, the more satisfied they’ll be.